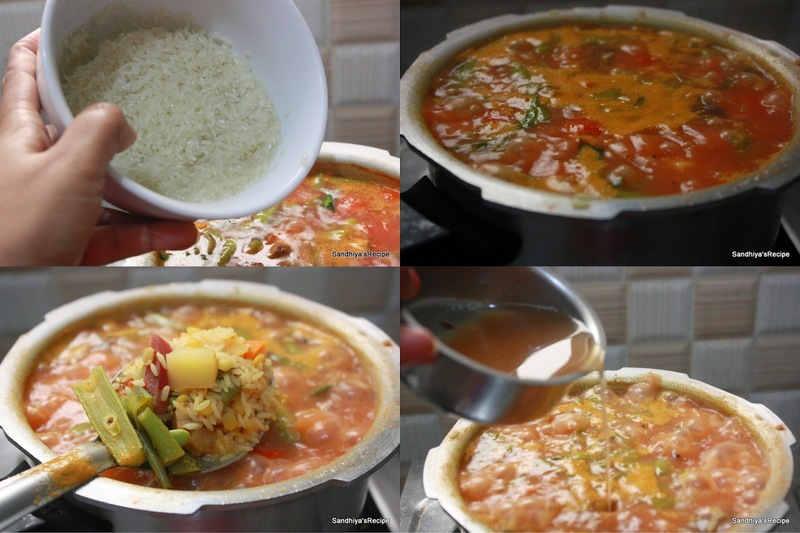 Kootanchoru/Kootan soru is one of the famous South Tamilnadu one pot recipe especially in Tirunelveli District.I remember this rice as one of the standard travel food for one day trip. In my school days, when we go to my grand mom's(maternal) house during summer holidays, all the periammas also come there. 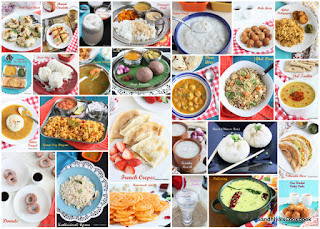 At that time,all of them together prepare this rice and also they used to say that "Kootanchoru tastes great , when cook in large quantity". This Rice tastes great when you use fresh vegetables and all kind of root vegetables like senai kizhangu,siru kizhangu,seppankizhangu. But today i used only potato,still it tastes great. Cut all vegetables in to medium size pieces. Refer the photo below. Soak tamarind in 1/4 of water. 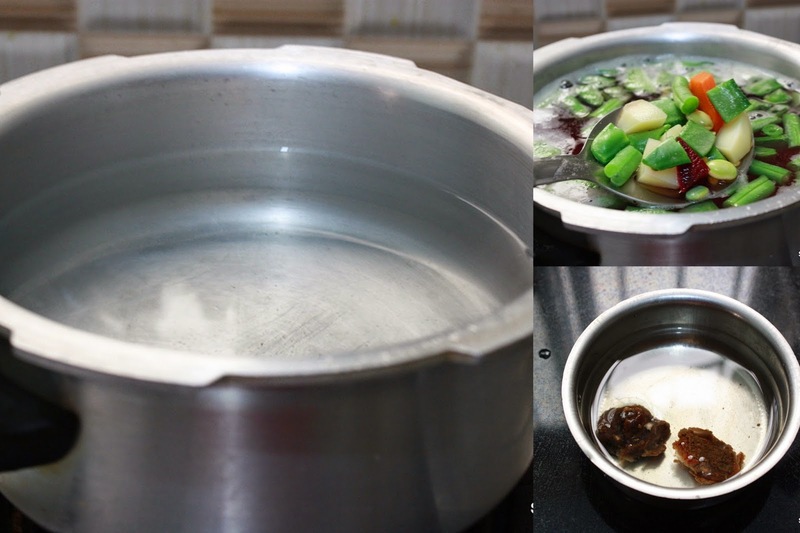 Heat the pressure cooker with 2 1/4 cup of water. 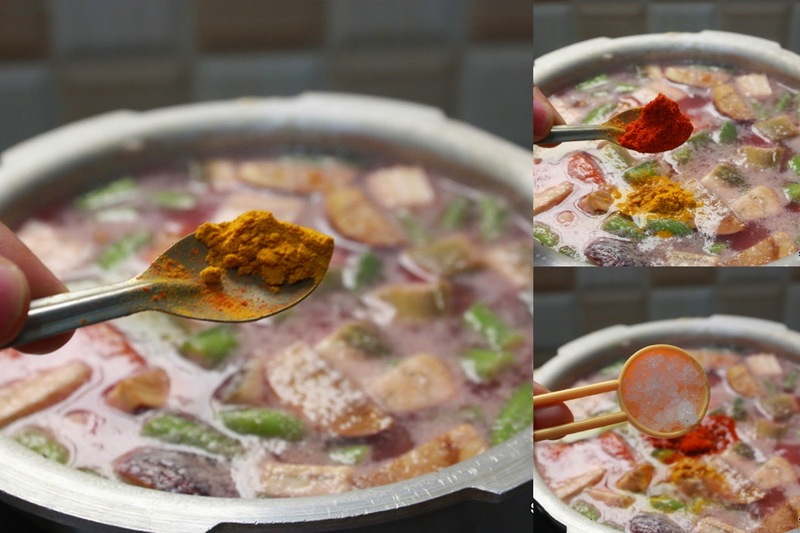 Once the water comes to boil, add toor dal with asafoetida and then add vegetables which take more time to cook like carrot,beans, potato,beetroot,mochaikotta &,avarakkai. Cook it for 5 mins. Then add the turmeric, chili powder & salt. 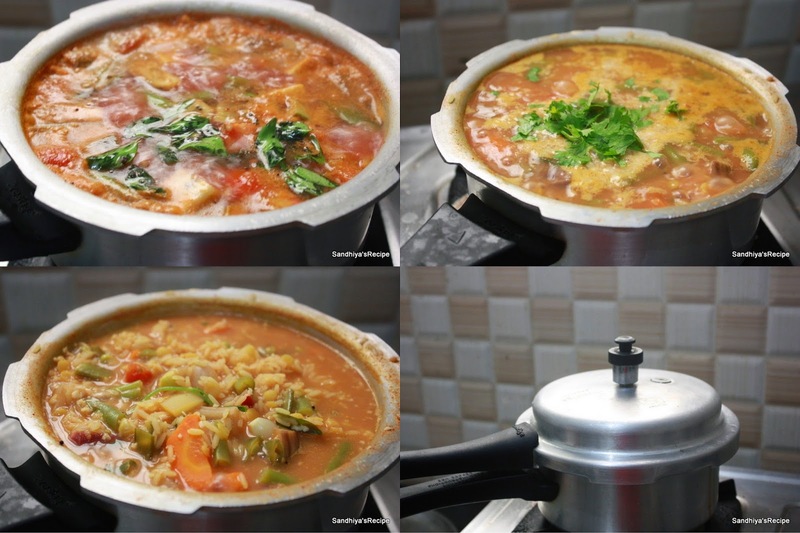 banana,drumstick,brinjal,tomato&onion and bring to boil, once the rice is half cooked ,add the tamarind extract. Temper the item list under "To Temper" and add it to rice . Finally add coconut and coriander leaves. Mix it well and then close the lid and put on weight. Cook it for 3 whistle. Tasty Kootanchoru/Kootan soru is ready.Serve it with any of your favorite pachadi and papads. I served it with Tomata Pachadi ,vathal and vadagam . If you have drumstick leaves, add it along with coriander leaves. My mom prepares this rice only if drumstick leaves is available, it gives super flavor to the rice. I dont have it, so skip that. You can add peas, butter beans also if available. Avoid adding water vegetables like ash gourd, bottle gourd,Ridge gourd.